facebook, instagram, twitter, we call it social media but really it’s selfie media. you post about what you had for dinner, you share the link to your favorite song, you opine. 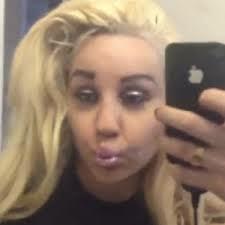 the former nickelodeon actress and erstwhile fashion designer amanda bynes has been posting “selfies” — pictures of one’s self that often include one’s hand holding the camera or phone. amanda has been tracking her path of self-destruction with twitter posts including increasingly bizarre selfies. she was recently evicted from her apartment in new york and arrested on drug charges. there is some indication she suffers from schizophrenia. edward snowden, a 29 year old cia consultant, fled to hong kong with documents that outline the extent of our government’s trampling of our privacy. 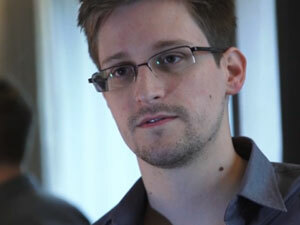 as he says “I’m willing to sacrifice all of that because I can’t in good conscience allow the US government to destroy privacy, internet freedom and basic liberties for people around the world with this massive surveillance machine they’re secretly building.” he is quite aware that he has forfeited his freedom, the option to ever return home and quite possibly his life. so while snowden does his best to highlight how the government is peeking at stuff that might be considered private, the amanda bynes of the world are tweeting and posting and updating us on all sorts of things. . . .
a lot of amanda’s tweets are about ugliness. as in courtney love is ugly, jenny mccarthy is ugly, and that rhianna was beat up by chris brown because she is ugly. weird, because amanda was really a very beautiful girl before she started posting and tweeting her transformation. i’m glad she doesn’t know me because i’m sure she would tweet that i’m ugly too. you can’t permanent erase this stuff and it is just so easy to issue the usual “don’t post stuff that you wouldn’t want an employer to see” or “everything on the internet is forever”. . . i’m sorta wondering about all those selfies i’ve posted on facebook. i might be pissed off the government can spy on me but what do i expect? i’ve made it incredibly easy for them. This entry was posted on Sunday, June 9th, 2013 at 10:53 pm	and tagged with amanda bynes, edward snowden, facebook, fierce, government spying, instagram, privacy, selfies, social media, twitter, verizon and posted in Uncategorized. You can follow any responses to this entry through the RSS 2.0 feed. « finally, i am a winner!